To work for peace in my part of the world this year– even if it appears ridiculously impossible. 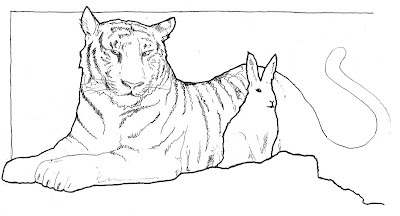 Illustrated with the tiger lying down with the rabbit (the symbols for the current and next Chinese New Years respectively). I love the weight of those outlines, as usual! 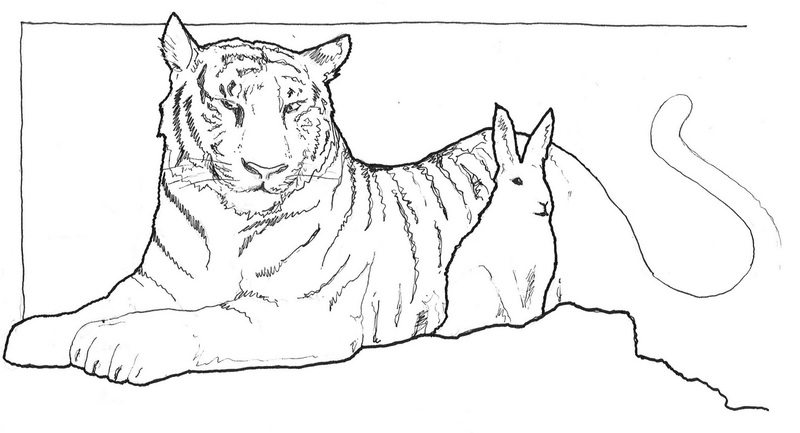 That is one stoic bunny. Congratulations! Impressive use of line. I really like your style. Love the drawing and the resolution! Wow! You were chosen for the pick of the week. That is fantastic! Thanks for all the comments everybody. I was amazed when I found out that I had made “the title page”. Took a look at your Deviant Art page and then went on to your blog. Really nice work, especially the ink pieces. Clear lines, great comp. and of course the fantastic contrast of black and white. Your stuff reminds of the old masters from the golden age of illustration. What a beautiful tiger and an amazing look! Indeed. The great information that placed here is very useful and vital to individual, mainly to those people who are currently seeking suitable determinations in their own. Thanks for posting this such vital artifact it really help us.